Finding the right camping tent seems easy, right? Sometimes even the most experienced campers have difficulty finding the right model to replace their old tent. There are many different types and styles of tents. So much so that it might be confusing to know exactly what you need. If you're having trouble deciding on the right tent for you, this guide will cover everything you need to know before buying your perfect camping tent. When it comes to basic camping tents, there are three primary types; family, backpacking, and mountaineering tents. Each has their own subcategories with different pros and cons. All are designed for specific styles of camping, so the activity planned will impact what type would be best for you. 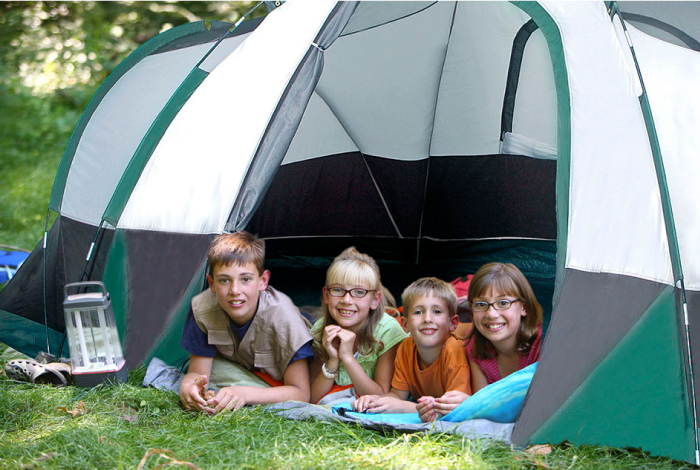 Family tents, as you might imagine, are designed for families or large groups of campers. Usually, these types of campers are more interested in comfort and capacity instead of weight and efficiency. Family tents typically feature relatively vertical walls and spacious floor plans. Another common trait for them is to have room dividers or more than one sleeping compartment. Some even come wired for electricity! There are two common varieties of family tents: cabin-style tents and dome tents. Cabin-style tents make it feel more like you're bringing your home to camp with you. Tall, with nearly vertical walls, these provide a substantial amount of maneuvering room. 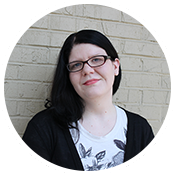 Many models have enough room for an average person to fully stand up and can typically accommodate at least four people. On the other hand, dome tents come in a wide range of sizes and styles. Some are designed for serious backpackers and others suitable for a large family. Stronger than cabin-style shelters, they also offer better wind resistance. This makes them a better choice if your camping includes harsher conditions. Another consideration is that these tents are usually lighter and easier to transport than cabin-style tents. However, you should note that all this room and convenience comes at the cost of weight. Family tents are relatively heavy and have a larger pack size, which can have an impact on any hiking plans. But if this isn't the right type of tent for you, there are still two other types that might interest you more. 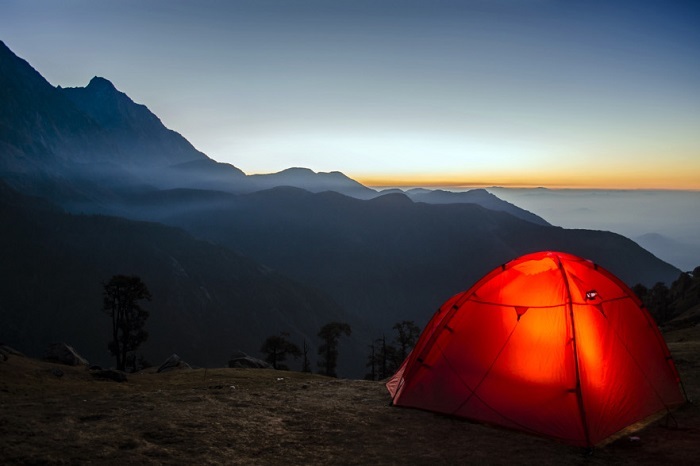 If you're a camper that is more interested in hiking and changing campsites frequently, a backpacking tent would be the better option for you. While most of these won't have certain luxuries, they do feature quick set-up, sturdier construction, and increased portability. There are four common options when you're looking for this type of tent. The A-frame tent is probably the most familiar to people, either having spent time in one or seeing one on the TV. Simple, inexpensive, and easy to pitch, these tents are best suited for mild conditions. Wind and a lack of space are both known flaws for this type of shelter. But some find that the nostalgic feeling is worth the minor setbacks. Dome tents also fit into this category as well as family tents. Besides the benefits we've previously mentioned, this type provides good stability and weather resistance without requiring staking. If you don't want to sacrifice space when hiking and camping, this is the right tent for you. Tunnel tents are a preferred choice if you want to maximize interior space. Also known as hoop tents, these are often lighter than domes since they use less fabric and fewer poles. However, they are not as strong, almost always needing staking. More care is also required when selecting a campsite for this type of tent as well. The fourth type of backpacking tent is the ultralight tent. They are, as the name implies, very light. However, due to the delicate fabric, extra care is required. Sharp objects will damage your tent so be careful as you set it up! If you prefer to hike or camping in more severe conditions, there is a whole other type of tent that's perfect for you! 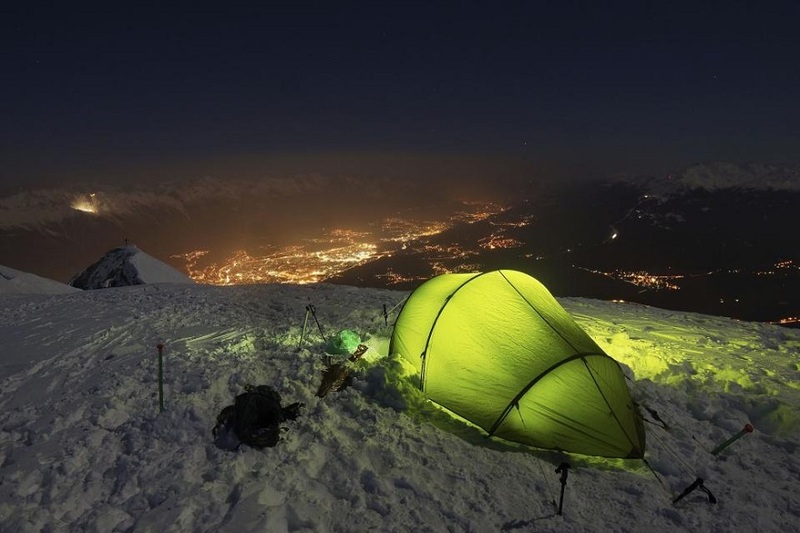 When you're camping in the winter or other extreme conditions, the best option for you is a mountaineering tent. Also called expedition or winter tents, these shelters are typically rounded to increase stability and prevent snow accumulation. While they do weigh more than other varieties of tents, many consider the extra bulk worth it for the protection against extreme weather. The stronger fabric and additional poles make these much more durable than their counterparts. Most mountaineering tents have similar design features due to the construction required to handle harsh conditions. You do not have the variation as with family and backpacking tents. A key thing to look for is the season rating; you want a four-season rating, so it is suitable for year-round use. But if you aren't sure what a season rating is, check out our infographics below for additional information. 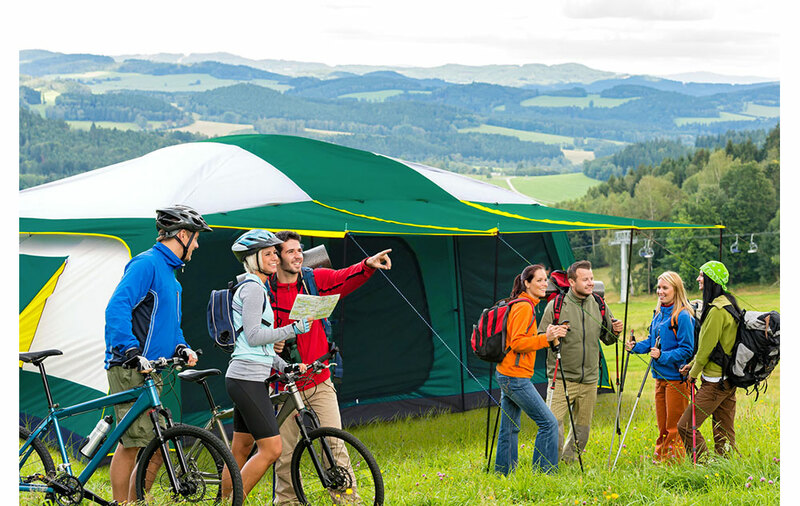 Finding the right size tent can be tricky if you don't know what you're looking for. There are several different factors to consider. These include the number of campers, amount of gear, and personal preferences. Once you've determined those, you might wonder how you'll know it'll work for you. The first thing to consider is the maximum number of people that can sleep in a tent at once. This information is provided on every camping tent because it is such an important factor. However, if you're looking for a tent for three people, a three-person camping tent may not be the exact right size for you. You might ask why? Unfortunately, there is no industry standard for what a three-person tent is. So one manufacturer's three-person tent may be significantly smaller or larger than another. Another issue with going only by the sleeper capacity is that it doesn't account for gear. It only measures how many people can lay down. So once you account for the number of people, how much gear you're bringing, and how much space each person really needs, that will give you a better idea of what size tent to purchase for your camping trip. Other things to look at to provide you with a better idea if a tent will work for you include peak height, floor dimensions, and the slope of the walls. Peak height can be significant when considering how comfortable a tent will be for you. Regardless of what kind of shelter you purchase, the center height will impact how comfortable it is for you to use. However, peak height only refers to the tallest point of the tent's roof so if plenty of headroom is important to you, make sure to look for a tent with a tall peak height and gently sloping walls. Floor dimensions are also important to consider when picking your tent. Most manufacturers list the floor dimensions in terms of length and width, which can help determine how much space is in a square or rectangular tent. However, what about different shapes? You should also look at the floor plan as well as the dimensions. Even if a floor plan doesn't provide every aspect, it can still help understand how much space the tent actually has. This way, you will be able to determine how much space there is for people and gear. The slope of the walls can also impact how much space is available in most camping tents. For example, if you looked at similarly sized A-frame and dome tents, you might think that based on the floor area, they will be equally spacious. However, due to the sharp slopes of an A-Frame tent, you have considerably less room to maneuver. Size is just one of the considerations you have before finalizing the purchase of your camping tent. What else can there possibly be to consider, you might be asking yourself. It's just a tent, right? Well, if you want a tent that will last, you need to consider a few other factors. Season ratings, construction materials, and set-up are all things that should be scrutinized before your investment. All camping tents have season rating. The tent ratings indicate the times of year and therefore conditions they are appropriate for. 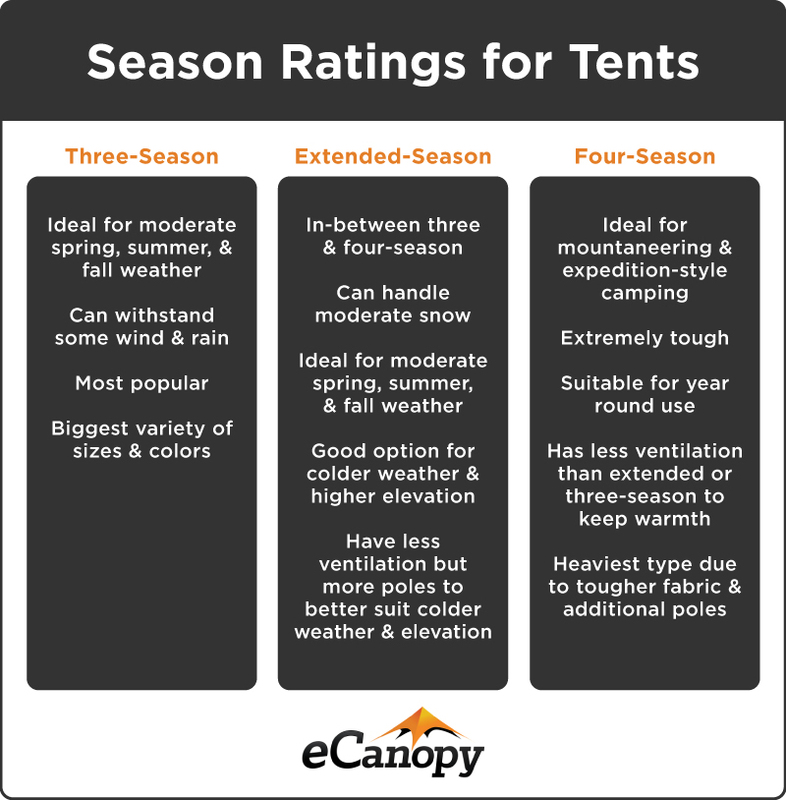 There are three different tent ratings: three-season, extended season, and four-season tents. You can learn about the differences in the infographic below. Construction materials are another consideration to selecting the right camping tent. These mostly mean the fabric and poles. First, we'll talk about the different fabrics. 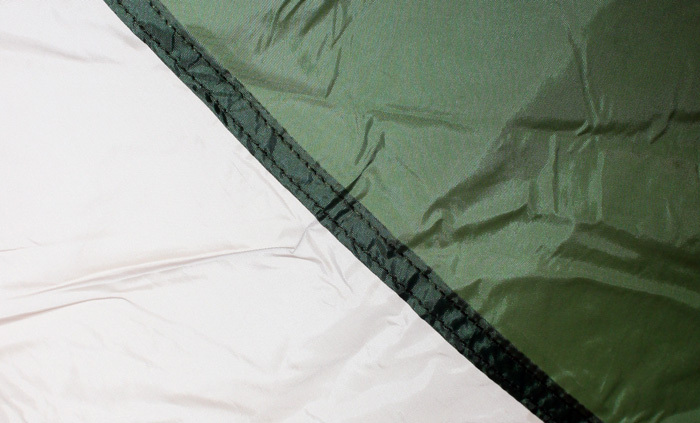 Two fabrics are the most common in the construction of camping tents: nylon and polyester. Nylon is the tougher of the two, though it is also lighter. Better able to resist abrasion, it is commonly used for tent canopies and floors. On the other hand, polyester tends to be more water-resistant than its counterpart, keeping its strength when wet. It also resists UV rays as well, making it a popular choice of fabric for rainflys, which we'll cover more in the accessories section. For camping tent poles, there are also two main choices. Those are fiberglass and aluminum. We'll start by talking about fiberglass poles. Typically less expensive than aluminum, they're an excellent option for tighter budgets. However, fiberglass poles weigh a little more and are, therefore, less convenient if pack weight is an issue. They are also more prone to breaking and don't handle extreme weather well. Usually preferred by backpackers, aluminum tent poles are lighter, stronger, and more durable than their fiberglass counterparts. This increased performance comes at a cost, literally since they are harder to make. 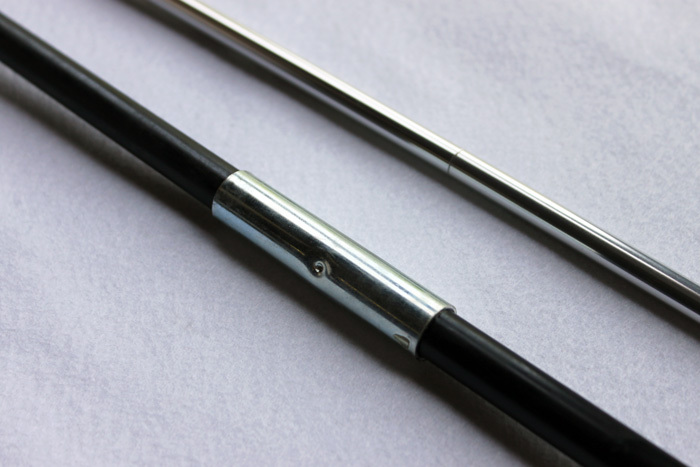 There are a variety of options within this category since these poles come in various thickness, diameters, and weights. However, the essential trait is the pole's grade. This is due to aluminum needing to be combined with other metals to increase its strength and resistance to wear. There are two main sets of alloys you'll find for aluminum camping poles. The 6000 series alloys contain silicon and magnesium, offering a good balance of strength, stability and corrosion resistance. On the other hand, the 7000 series alloys use zinc. This makes these poles extremely strong, lightweight, and generally more flexible than similar 6000 series alloy poles. One of the last things you need to contemplate is the set-up. Will you want a freestanding tent or non-freestanding? Some find the freedom to move their camping tent preferable to having stakes maintaining the stability of the tent. So it does come down to personal preference. However, it should be noted that stakes are still recommended for windy conditions. Another part of the setup is the type of connectors for your poles. This can affect both the speed and difficulty of setting up your tent. However, you might find a shelter with a combination of both to provide a balance between their pros and cons. Pole sleeves are just what they sound like: long sleeves of fabric that hold the tent's poles to provide excellent stability in high winds. This also reduces the stress on the tent's fabric by redistributing the fabric tension. However, this does cause setup to take longer. Threading the poles through the sleeves can also prove challenging. Pole sleeves can also impede airflow between the body of the tent and a rainfly, making condensation an issue. The other type of connector is pole clips. These are plastic fasteners that attach the canopy of the tent to the poles. Easier and lighter than pole sleeves, these can make setup faster. Clips also allow for better ventilation than sleeves. However, it should be noted that they are not as stable in windy conditions. Typically, the fewer poles a tent has, the easier it will be to set up. Extra poles and components increase strength but also make them more challenging to assemble. Setting up more complicated tents take longer, even after you're familiar with it. If you're looking for simplicity and speed, a more straightforward tent may be the way to go. 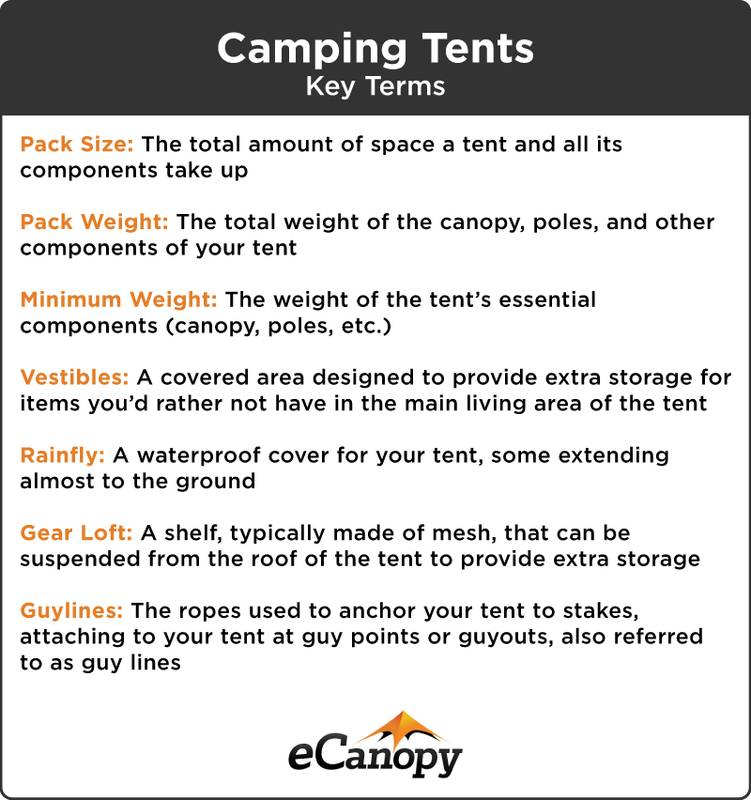 While considering all of these things to find the right tent may seem like an overly involved process, it will help make sure that your purchase lasts and you don't waste your time later. In the camping tent industry, there is a lot of jargon used by both campers and manufacturers. Below are some of the more common terms with a brief explanation of what they refer to. Finding the right camping tent can seem overwhelming at first, but the selection process doesn't have to be stressful or intimidating anymore! With this information, you should have a good grasp of what is important to consider and an idea of what will best fit your future camping adventures.